First of all our heartiest congratulations for your upcoming wedding. But everyone has the same question "How shall we approach this very important project?" in a foreign country, a language you probably do not speak and understand and you do not know what are the best locations and suppliers. That's why you are on our website. And I can tell you – what a great choice! 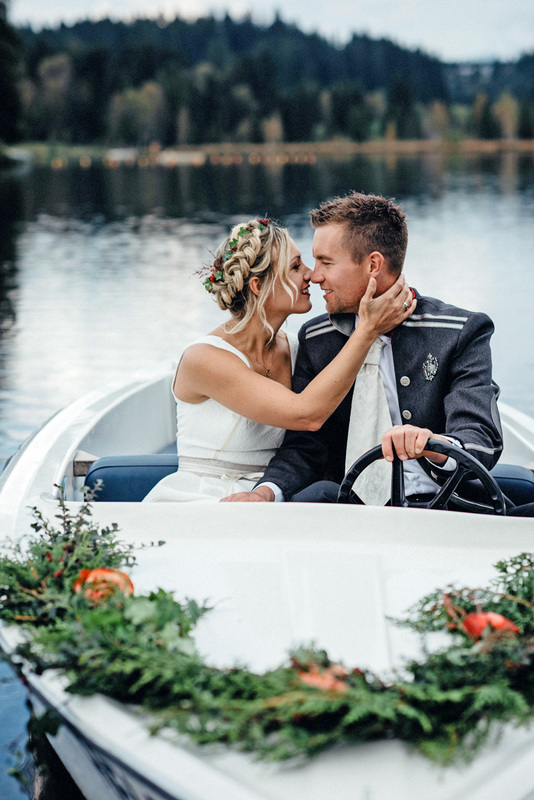 We cover all of Austria and will help you get in touch with the best wedding planner with experience and qualification for your dream destination who of course only knows the best and most professional suppliers. In every destination we have various locations (hotels, huts, restaurants, castles,…) you can choose from. As we believe in making your wedding tailor-made and not squeezing you in a package – we are not tied to individual establishments – so the whole supply is at your disposal. We will create your dream wedding together with you and your beloved. The more details you can give us on our enquiry form, the better we can answer all of your questions. 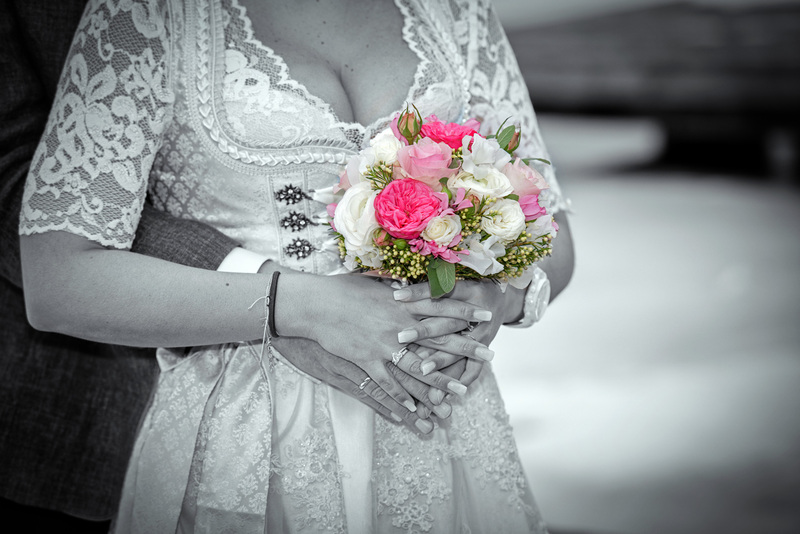 You will get a list with a rough estimate for your chosen destination and can offer you a free chat on Skype with our senior wedding planner, Susanne, to clarify any remaining questions. For those who need a more precise list of costs, we can send you a personalised offer for a small service charge. This fee of course will be deducted from your final invoice if you proceed with Austria-Direct-Weddings. Now it is time for you to say "Yes, we do" think we'd like to go ahead with our wedding in Austria. This is when your enquiry will be handed over to our destination wedding planner who will continue to plan your dream wedding from then on. No matter if you decide for an intimate elopement wedding or a party with 150 guests over 3 days – we will tailor make your wedding around your ideas, dreams and wishes. From low key weddings all the way to elegant 5* weddings – we have the right venue for you. We will guide you through the jungle of documents required for the legal ceremony as well as your religious ceremony and have them translated by certified legal translators in Austria. If any problems arise with obtaining documentation and certification of documents within UK or Ireland... That is the benefit of having a UK office!!! We will help you find the most suitable locations as the venue for your wedding. We will book or advise accommodation. 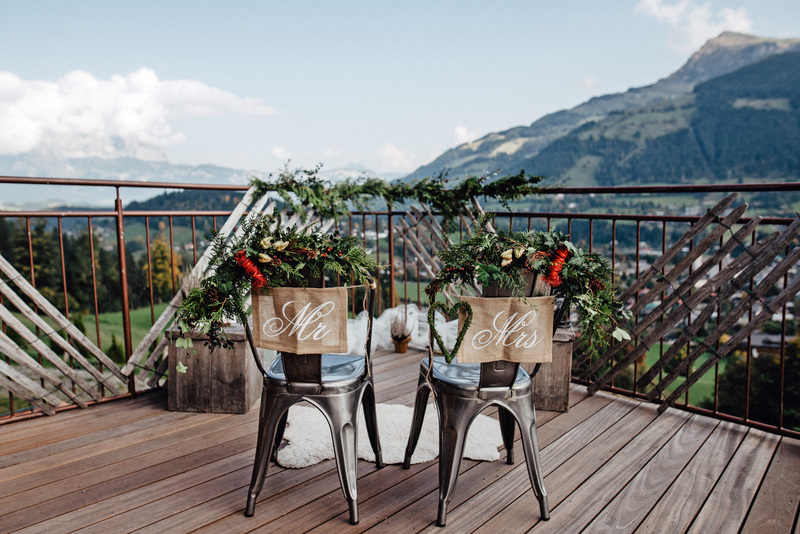 We will keep you updated throughout the whole planning process via email, chats on Skype and meet with you when you get a chance to visit Austria before your wedding (not mandatory). While the hairdresser is taking care of the bride, bridesmaids and mum's to get ready for the big day at your hotel. Your wedding planner will make sure all flower decorations are perfectly arranged and will have a last briefing with all suppliers to ensure that the day runs smoothly. 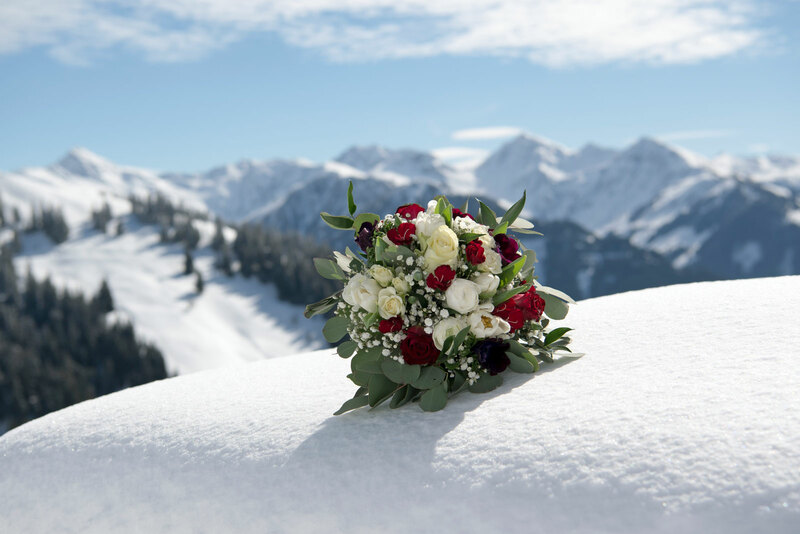 The big moment of commitment at the registry office will be followed by a glass of sparkling wine before the horse and carriage picks you up for a romantic ride through the beautiful setting of your destination in Austria. 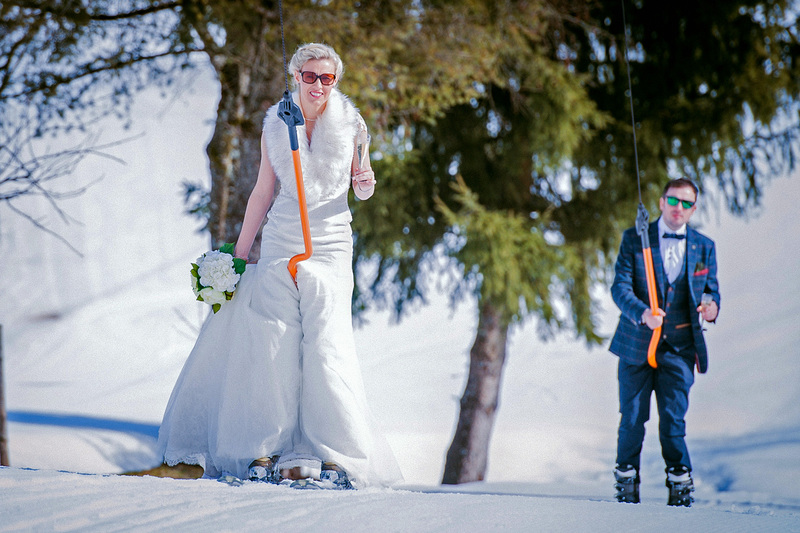 If you are keen skiers and like some very unusual wedding pictures, then you can do a "first ski" instead of a first dance before you move on to the venue of your choice for your wedding dinner, where a local band will give you a warm welcome and some hot Glühwein will be served before you sit down for your dinner & party.